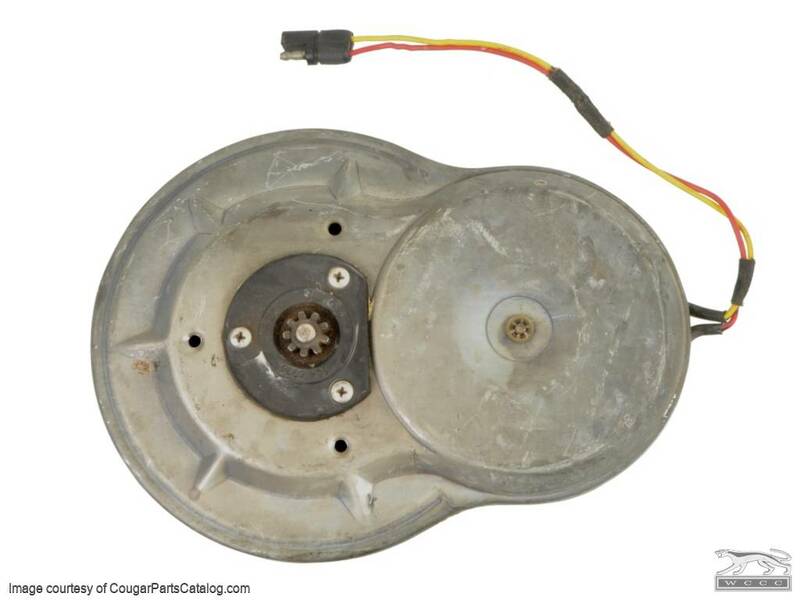 Used rear pancake power window motor that is in good original condition for the Mercury Cougar or Ford Mustang. This motor has been professionally tested and has been found to be in good working order. Typically, these motors are service replacement motors that have been replaced sometime in the car's life. If you are interested in our service that takes your motor and rebuilds it for you, click here. *NOTE* For those of you who like to rebuild and refurbish your own parts, check out our video below. It will take you through the pancake motor refurbishing process. If we can do it, there is no reason why you can't too! Core refunds are given when we deem the part worthy of being rebuilt. If you have questions on what a good core consists of, please email a picture of the part prior to sending it or give us a call for guidelines BEFORE YOU PLACE YOUR ORDER OR SEND US YOUR CORES. Often we can at least offer a partial refund on your core, but we can not give core refunds on cores we can not use and we will not pay the shipping to us or pay to return the cores to you, if the cores cannot be used.